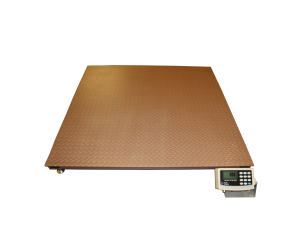 Many facilities require the use of industrial scales to measure products and prepare materials for shipment. Industrial scales are designed to measure and display the weight of whatever is placed on their platforms. A majority of them are equipped with digital indicators so the user can easily read the weight displayed. The best scales offer a number of measurement options, such as pounds, kilograms and more. Additional features of industrial scales include the ability to enter a tare weight and exhibit net and gross weights. The data that industrial scales record is very useful to companies. They can look at inputs and outputs and make sure that the numbers are consistent and not fluctuating. However, without connectivity, companies must record data manually if they want to monitor it at all. Fortunately, Arlyn Scales manufactures a wide range of high-quality scales that can all be connected to computers and laptops via USB or Wi-Fi. With connectivity options available, companies no longer have to document the measurements of their scales manually. The data will be record automatically on a nearby computer or laptop, and the information can be analyzed whenever desired. When companies have the data of their scales’ measurements at their disposal, they can input the information into various applications or programs that will do analysis for them. By investigating their data, companies can then address any issues that their processes may have—meaning they can make their processes more efficient if needed and can then save time and money in the long run. There must be software available that can read the data and turn it into something that can be analyzed, once it is available to a computer. Besides allowing companies to take a closer look at the proficiency of their processes, connectivity on scales can also permit the processes of companies’ to be automated by controlling valves, mixers and feeders used in the facility. Most modern computers feature USB ports. All of our scales can be connected to a computer via USB of Wi-Fi. When a scale is connected to a desktop computer or laptop, companies can be more efficient when it comes to recording and analyzing the data that their scale measures. Then, with the data in their hands, the computer can be taken away for further analysis of the data. After analyzing the data, a company can focus on ways to lower the cost of processes, rework processes to be more efficient or, ultimately, save time and resources. There is a lot that companies can do with recorded data. It can be attached to accounting software, imported into Access or Excel to make charts and graphs or even inserted into in-house software and applications. Data analysis can help a company improve their weighing process and allows them to take control of what’s going on with their scales and measurements. When scales have connectivity options, companies can remove the necessity of manual processes and become more efficient with fewer errors. With all of our scales, we offer free Remote Indicator Software. It is a Windows based application that allows users to connect up to 10 different scales to a computer at one time and display real time weight. Whatever appears on the digital indicator of the scale will show up on the computer. The program will document all of the measurements taken on the scale and then the records will be at the user’s disposable. Our Remote Indicator Software and Send Key Software can be used with bench, platform, parts counting, drum and floor scales, as well as many more. The printer ports typically found on scales are RS-232, which is the standard communication port. Unfortunately, this type of circuit can only support one device. Therefore, Arlyn Scales uses RS-485, which is a superior type of communication port. It allows multiple scales to be connected to a single cable. We provide a special RS-485 to USB adaptor, which can read the data from each scale and convert it to standard USB format. By using our Remote Indicator Software, you can see what’s happening on the scale from as far away as you want to be. Moreover, you can use various programs to really take control of your scale and the data it records. For example, you can use a program that controls peripheral hardware, such as feeders and fillers. Or you can switch valves, solenoids and pumps on and off by connecting them to relays that feed into the computer. Alarms on your computer will warn operators when the process is running out of materials needed for the process to run properly. Arlyn Scales has been in the weighing industry for over thirty years. We are known as a leader of design and technology within the industry. We use the latest and best technology in all of our scales. Whatever scale you need, we supply it. Check out our website today to see all of the products we offer. Our customers are our number one priority. Every day we work hard in order to meet their every need while simultaneously striving to maintain the production of high-quality and competitively priced scales. Every Arlyn Scales’ scale features connectivity options. We are proud that we can help companies be more self-aware and cost-efficient in their processes. We supply every type of scale, including: bench, floor, cylinder, drum, counting, crane, and platform. Each scale has a number of additional features that can be added on for an extra cost. If you are unable to find what you’re looking for, then talk to us. Our knowledgeable staff would love to talk with you about your needs and see what Arlyn Scales can do to fulfill them. Fill out our online contact form or give us a call at 800-645-4301.